A thorny issue: Paying your way! There are those who send me letters 'encouraging' to get the congregation to give more in the light of diminishing income and tough financial climates. This is often accompanied by offers of help, should I need it, to inform and encourage better giving. And this is, of course, true. Once the money runs out the lights go off and the churches become cold and doors are shut. This is a reality of life: Charity might begin at home but it doesn't extend to utilities and suppliers of stuff who need to be paid to pay their staff and buy in the stuff they sell and the like. It's simple grown up world stuff innit? And some people were appalled that I could do such a thing because,they assumed, 'everything was free!'. 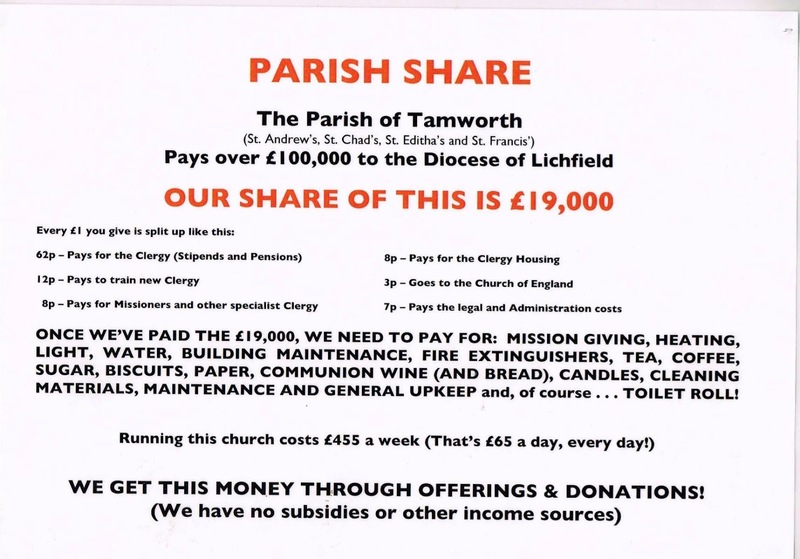 The idea was to get people to realise that it cost money to keep a little church like ours afloat and with around 20% of the congregation having an income, this is a challenge for us each and every year. And people beat their breasts at the thought of no longer having a church in their own patches - after all they'd always had it! But some were resolute and maintained their position with a sad look on their faces. Others called me foolish and yet the same people were the first to tell us how lucky we were when those who weren't paying offered us new seating and tables and helped put in central heating and the like. 'Cast you bread upon the waters ...' says the KJV - and we did and God proved Himself to be no man's debtor - and those outside complained at that! I got into an argument because I thought that having taken money to do a wedding or funeral in a building that any subsequent offering or giving was something to be grateful for and applauded rather than become something to be complained about because it was too little. Then I got into another argument because I made the point that when we started a church plant or a 'fresh expression' it would be good if we worked out how long we would be fully funded and then decide how the responsibility for 'paying our way' could become ours fully. Wow! This was a real red rag (as was suggesting perhaps that it was acceptable to church to ask people to pay for messy church'). People asked whether we asked those who came to other services to pay - and of course we do, what are our tithes, gifts and offerings if they are the people paying money to ensure that the church (local) pays it's way? Bringing all of our tithes and offerings into the storehouse ensure the bills are paid and means that those with needs in the fellowship (and let's not fight over what that means for now because I have more weird ideas here too) go without. So perhaps we should charge for admission? Glorious things are spoken of you, Zion, city of our God. My song shall be always of the loving-kindness of the Lord: with my mouth will I proclaim your faithfulness throughout all generations. The heavens praise your wonders, O Lord, and your faithfulness in the assembly of the holy ones; For who among the clouds can be compared to the Lord? Who is like the Lord among the host of heaven? A God feared in the council of the holy ones, great and terrible above all those round about him. Who is like you, Lord God of hosts? Mighty Lord, your faithfulness is all around you. You rule the raging of the sea; you still its waves when they arise. You crushed Rahab with a deadly wound and scattered your enemies with your mighty arm. you established the world and all that fills it. You created the north and the south; Tabor and Hermon rejoice in your name. You have a mighty arm; strong is your hand and high is your right hand. Righteousness and justice are the foundation of your throne; steadfast love and faithfulness go before your face. Happy are the people who know the shout of triumph: they walk, O Lord, in the light of your countenance. In your name they rejoice all the day long and are exalted in your righteousness. For you are the glory of their strength, and in your favour you lift up our heads. Truly the Lord is our shield; the Holy One of Israel is our king. I was very angry when I heard their outcry and these complaints. After thinking it over, I brought charges against the nobles and the officials; I said to them, ‘You are all taking interest from your own people.’ And I called a great assembly to deal with them, and said to them, ‘As far as we were able, we have bought back our Jewish kindred who had been sold to other nations; but now you are selling your own kin, who must then be bought back by us!’ They were silent, and could not find a word to say. So I said, ‘The thing that you are doing is not good. Should you not walk in the fear of our God, to prevent the taunts of the nations our enemies? Moreover, I and my brothers and my servants are lending them money and grain. Let us stop this taking of interest. Restore to them, this very day, their fields, their vineyards, their olive orchards, and their houses, and the interest on money, grain, wine, and oil that you have been exacting from them.’ Then they said, ‘We will restore everything and demand nothing more from them. We will do as you say.’ And I called the priests, and made them take an oath to do as they had promised. I also shook out the fold of my garment and said, ‘So may God shake out everyone from house and from property who does not perform this promise. Thus may they be shaken out and emptied.’ And all the assembly said, ‘Amen’, and praised the Lord. And the people did as they had promised. Moreover, from the time that I was appointed to be their governor in the land of Judah, from the twentieth year to the thirty-second year of King Artaxerxes, twelve years, neither I nor my brothers ate the food allowance of the governor. The former governors who were before me laid heavy burdens on the people, and took food and wine from them, besides forty shekels of silver. Even their servants lorded it over the people. But I did not do so, because of the fear of God. Indeed, I devoted myself to the work on this wall, and acquired no land; and all my servants were gathered there for the work. Moreover, there were at my table one hundred and fifty people, Jews and officials, besides those who came to us from the nations around us. Now that which was prepared for one day was one ox and six choice sheep; also fowls were prepared for me, and every ten days skins of wine in abundance; yet with all this I did not demand the food allowance of the governor, because of the heavy burden of labour on the people. Remember for my good, O my God, all that I have done for this people. Welcome one another, therefore, just as Christ has welcomed you, for the glory of God. For I tell you that Christ has become a servant of the circumcised on behalf of the truth of God in order that he might confirm the promises given to the patriarchs, and in order that the Gentiles might glorify God for his mercy. draw us into harmony with your will, that we may find all things restored in him, our Saviour Jesus Christ. and having considered just some of the many strategies for church growth I've encountered thus far, we return to that most lauded and even more often wrongly places element of church growth: The 'messy church' approach! ii. It is about bringing families into a place (which might not be a 'church') where there are activities and fun and food and friendship on offer - yeah, not like Sundays at all then is it? iii. It focusses on reconciliation to God through the cross of Jesus, the Christ - But it is not about claiming scalps. 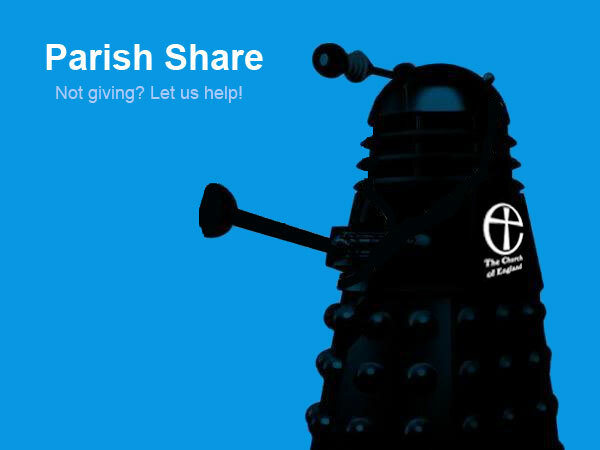 We do it to share God's love, not pay the parish share or 'bring children in' (but of course it will do that too, but that's not the goal). It's not supposed to be the means by which we bring the people in and then, once they're comfortable in the place, repot them in the Sunday services like young plants taken from the greenhouse! It is evangelism, but not the sort that builds up your ageing and largely failing Sunday gatherings. 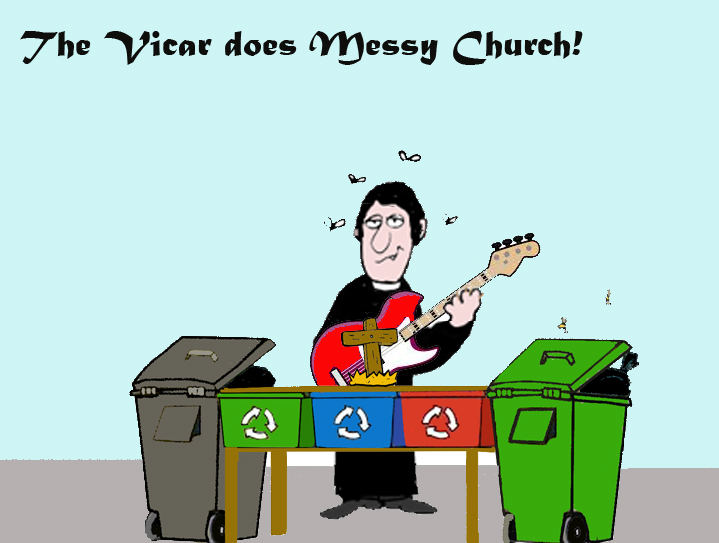 The messy folk might come to have a look at a Sunday but wherever and whenever the messy church takes place: That's church for them! As usual with Church. It isn't rocket science! Well it hasn't been where I am anyway! ii. People who will plan and lead and cater and assist and wash and clean and be there to become familiar faces and to be 'friends' (this means actually being friends but he way, not just pretending to be such). iii. People who will keep on doing i. and ii. for a jolly long time - through the feast and the famine times - as faithful and committed members of the project. iv. 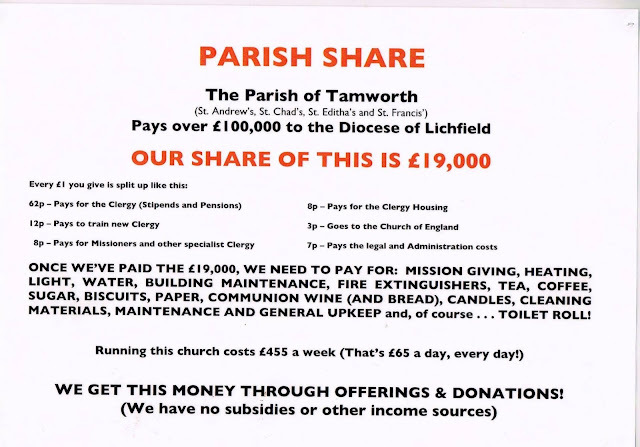 A church (or group of people) who are willing to fund the thing (but I believe there should always be a charge for the event - this is important) for as long as it needs funding. Messy church is about servanthood and sacrificial giving (of time, money and self) - it is great fun and one of the most rewarding things I have done with families ever. The answer to this is that everyone who brings their families to messy church ( and this is every that I've met who have said this) have told me that they pay for other sessional activities for their kids but messy church is THE best value (one of those who said this paid a fiver for 'parents and toddler's' and other groups) - £3 for a whole family: Mum, dad and three kids - they want to pay towards the thing. And back to the 'parent and child' debate: As parents I am aware that we need to teach our children to pay their way and to learn that if they want things then those things need to be paid for. This is good parenting and is what we do in other expressions of Church: we call it a gift, tithe or offering in that context though, don't we? Another issue is that of letting the parents leave the children at messy church. This one of the big problems and whilst, should there be a pastoral need, I'm happy to see it happen occasionally when a crisis arises, we don't offer messy church as free (see above) or cheap childcare. It is Church and therefore needs to be engaged with as such. There - that's the missing bit repasted! Doing what works or doing the same old stuff? Some of the messy church setups I've visited have been doing the same thing for years and they can't see anything wrong with that because it worked when they started. One even offered the same fare (pizza!) and assumed that pizza and chips was what children liked and had never thought of cooking shepherd's pie, pasta and other things. Don't get stuck in a rut - be inventive with your crafts, flexible with your formats and adventurous with the food (and if you do a beef wellington - call me). Times and places should be the time people can come and the place they can easy come to. There are so many people who think that by making the venue 'their church' is a great way to 'add to their church' - but it isn't (and isn't why we do it). Add to this the fact that some like to do it on a Sunday because, as one churchwarden told me, 'Adds children and numbers to the ASA!' If I had my way I'd exclude messy church from the ASA altogether and make it an evangelistic end in itself rather than a means of justifying the church by numbers (we had 30 adults and 7 children at the Sunday communion yesterday by the way - the numbers are small but the gathering was wonderful. 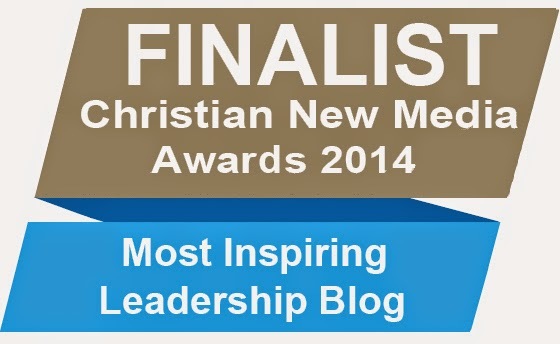 The numbers condemn us as a small church - the fellowship confirms us as valid Church. All about perspective). The point of what we do is to communicate the Gospel and make Jesus, the Christ, known. We do this safe in the knowledge that He in turn will make the Father known and bring about reconciliation with Him and us. It isn't rocket science, is it? The way that we do this is to become incarnate; that is to be present 'in the flesh'. and be real and grounded in reality for those around us. Being 'present' means that we are able to offer friendship and support and also be part of the solution (which means point to the solution rather than actually just be it for people - all about the give a fish/teach them to fish principle). This is where messy church becomes something of inestimable value. * I've met some people who want to offer 'a communion' from day one but to do so is to encourage people to enter into something they don't quite understand and to cheapen the Eucharist and diminish the importance of it for those who come and those who put it on too! Today is taken up with images of return from conflict and an encounter between Jesus, a woman who shouldn't be there and a crowd. This is the weekend in the UK where we celebrate our Armed Force's and the glimpse of triumphant return is tainted in the Old Testament by the loss of a comrade and brother. Jonathan has fallen and the the reality of comradeship and the fact that there is a bond that transcend the word 'love'. There are some who would portray the relationship as something sexual but that would be to cheapen it - for the love between those who take up arms is something so much more than that! I remember the faces and names of those who have fallen, those with whom I have stood as a brother-in-arms and even now there is a pain, a moment of loss which revisits me and makes dust appear in the room to affect my eyes. This is the reality of those who march away. The second image of conflict comes in the 1 Corinthians passage with Paul who, having tried to correct errors is now accused of possessing them himself and thus compares himself with one who having been defeated is ridiculed by those cheering on the triumphal entry. 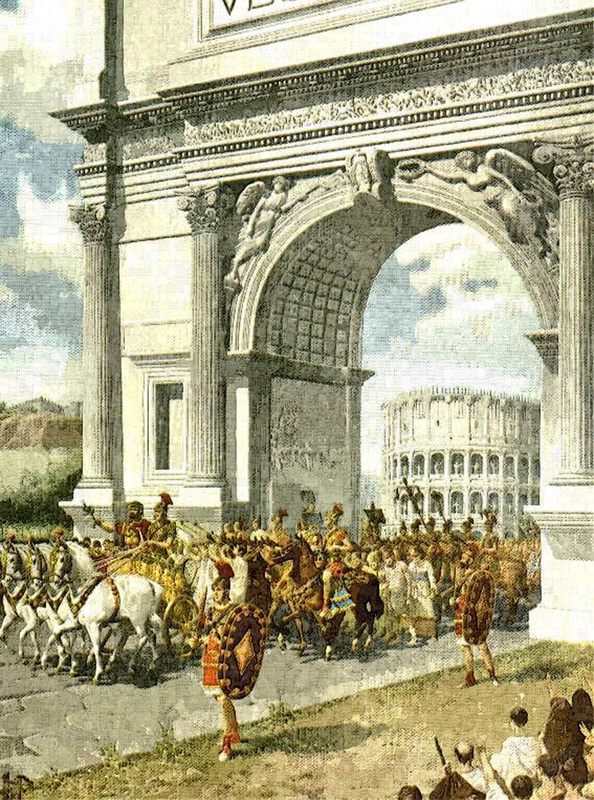 The image below shows one such happening: The victorious leader leading in the parade of victorious soldiers, the spoils of war and the defeated enemy. All that is needed is applause, cheering and ridicule for the defeated (followed by slavery or death) just like that shown in the image a little further down. A key word here, for me, is 'spectacle' ('theatron') - the word from whence 'theatre; comes - because Paul likens his being mocked and made a spectacle of to this moment. It is the time when those who think themselves in possession of something special in terms of intellect and faith hit out against the apostle who delivered them in a spiritual rebirth. What we should remember is the the victorious leader would, as soon as the chariot stops and the crowds begin to subside, have had the words 'Sic transit gloria mundi’ (the things of this world pass away) whispered in their ears. The message is clear: Enjoy today for it might be your last - tomorrow you could be dead! But what of those who think by virtue of their reasoning and their faith (in what I have to ask, for surely faith in a skewed Gospel is destined to fall and to lead those who believe in it to fail? Those who boast of all that those who opposed Paul set their lives not on the foundation of Jesus, the Christ, but on something that will fail to offer the support needed. Here we have envy in full measure opposing those called to be apostles and as elsewhere we read how Paul took nothing from people and was no burden to them - unlike some of the puffed up TV ‘apostles of today’ perhaps! Here we have those who thought themselves wise had elevated themselves - they had a faith and were clever in their arguments - they thought they were a cut above the rest (including Paul) and beyond question. So Paul being Paul challenges them using him and Apollos as an example. (If you don’t remember the ‘I am of Paul, I am of Apollos’ bit take a look at the previous chapter some time) and a foil for conversation regarding factions: For unity is a true test of Church (isn't it?). He and Apollos weren’t enemies - Paul uses the two of them to mirror the faction who lined up behind them - there wasn’t a race to see who had the most converts or gifts or stuff. In fact the only boasting they could have was not about leaders or gifts and the like - the only boast is in Him who gives the gifts and talents and ministries: God! But these Corinthians think they’ve made it all theirs - they know it all and have made it. Instead of applauding their apostle he’s like a prisoner whose now going to be belittled and humiliated by those he leads - a warning for all who seek public ministry in the Church perhaps? You’re wise and I’m a fool - you’re strong and I’m weak, your applauded and we’re nothings! Have they forgotten the things he’s suffered for the Gospel with them? Have they taken up their cross and followed Jesus - for he, Paul, has. So he responds in what I think is a Christlike manner - no swearing or attacking or cursing them or portraying them as fools - but of course, ‘he uses sarcasm’ (and I like sarcasm!). 'I Wish you’d been the believers you think you are - Would have been nice to have some peers! Paul didn’t need to pull rank for like someone who has a commission - that says it all for them - and he carries the commission of Jesus, the Christ! Paul is the spiritual father and the ‘ten thousand instructors’, the baby sitters (the pedagogoi’) - hired people to take the boys to school and keep them out of trouble; isn’t that how many see church leaders today? Who do you follow and who do you thank for the gifts and callings and abilities you have? How do you lead others: What sort of leader are you, or would make? Are you the puffed up, wise and powerful type or are you like Jesus, the Christ, in the way that you live and think and act? It’s interesting but whenever I’ve met an ‘apostle’ I’ve encountered someone who was other-worldly and, to be honest, a bit ‘up themselves’ (perhaps because everyone else treated then like they were royalty!) so Paul’s image of them being paraded like the losing side in a conflict is interesting - especially in the light of today’s world political scene. Apostles are like caretakers who instead of looking after buildings and stuff are called also to look after the spiritual temples and treasures too: We call these treasures ‘believers’. They don’t own the stuff - they merely look after it and do what’s best for what is in their care for the owner (who is of course God). And a quick stop at the Gospel where we have a woman who by virtue of her condition should not have been where she was. In the act of touching Jesus she makes Him unclean too! But she does touch Him and is healed - that's surely a 'Hallelujah' moment - but she does it because of faith in something that is superstition rather than faith in Jesus: And this is a powerful lesson. It doesn't matter how you come to Jesus - what matters is that you come and touch the hem of His garment, for in doing so, even for the wrong reasons, healing and restoration are close at hand. And take a look at the fact that Jesus is bound up in the life of a nobody at the expense of someone who has position, prestige and money. Think about this story the next time you, or someone in your church, puts out the 'reserved' stickers for the elite and sends the Church to the seats nearer the back. 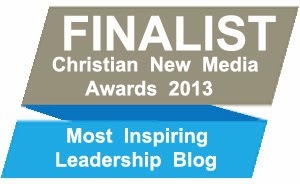 Do you, or your church, show partiality or favouritism? draw us into harmony with your will, that we may find all things restored in Him, our Saviour Jesus Christ. Amen. 'A gazelle lies slain on your heights, Israel. How the mighty have fallen! “Tell it not in Gath, proclaim it not in the streets of Ashkelon, lest the daughters of the Philistines be glad, lest the daughters of the uncircumcised rejoice. “Mountains of Gilboa, may you have neither dew nor rain, may no showers fall on your terraced fields. For there the shield of the mighty was despised, the shield of Saul - no longer rubbed with oil. “From the blood of the slain, from the flesh of the mighty, the bow of Jonathan did not turn back, the sword of Saul did not return unsatisfied. Saul and Jonathan - in life they were loved and admired, and in death they were not parted. They were swifter than eagles, they were stronger than lions. “Daughters of Israel, weep for Saul, who clothed you in scarlet and finery, who adorned your garments with ornaments of gold. “How the mighty have fallen in battle! Jonathan lies slain on your heights. I grieve for you, Jonathan my brother; you were very dear to me. Your love for me was wonderful, more wonderful than that of women. “How the mighty have fallen! I sometimes think God has put us apostles on display, like prisoners of war at the end of a victor’s parade, condemned to die. We have become a spectacle to the entire world - to people and angels alike. Our dedication to Christ makes us look like fools, but you claim to be so wise in Christ! We are weak, but you are so powerful! You are honoured, but we are ridiculed. Even now we go hungry and thirsty, and we don’t have enough clothes to keep warm. We are often beaten and have no home. We work wearily with our own hands to earn our living. We bless those who curse us. We are patient with those who abuse us. I am not writing these things to shame you, but to warn you as my beloved children. For even if you had ten thousand others to teach you about Christ, you have only one spiritual father. For I became your father in Christ Jesus when I preached the Good News to you. So I urge you to imitate me. That’s why I have sent Timothy, my beloved and faithful child in the Lord. He will remind you of how I follow Christ Jesus, just as I teach in all the churches wherever I go. Eternal God, comfort of the afflicted and healer of the broken, you have fed us at the table of life and hope: teach us the ways of gentleness and peace, that all the world may acknowledge the kingdom of your Son Jesus Christ our Lord. Amen. But the reality is that the more we practice our scales the more our fingers become accustomed to moving over the keyboard and our 'mechanical memory' grows such that when we look at the key signature on a piece we already know in our fingers what out head sometimes struggles to interpret; and I don't know about you but I have great respect for, and enjoyment from, those who can play an instrument well. ii. Look at what is before us and take time to reflect on it so we can keep the rhythm and live in tune with God. iii. Listen to the 'God' sounds around us; practice filtering out the discordant noise that distracts us; use the heartbeat of a God as the metronome - let Him set the tempo. St Augustine is often quoted as having said that the person who sings (well) prays twice! Well as much as that could rule some out with regard to the singing, I have to agree because you can't sing without being drawn into the words that are being used. This is why we sing Psalms and 'spiritual songs' in Church: We are, or at least often become, what we sing and so the singing of the words of the Bible are more than just singing words and music - they are part of our spiritual discipline. So what words are we going to sing over those we love? What words will we sing over our town, nation and the world itself? 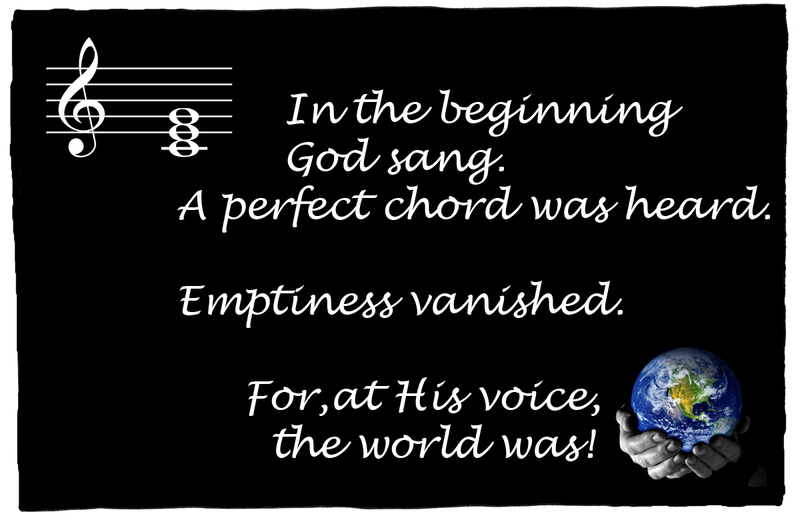 What is it that God is singing over each of us - Are we stopping to hear it? ...and God walked up to his piano and sitting, struck a chord. Three separate notes which, when united, make for something rounded and beautiful that quickens the heartbeat and yet stills the soul; the notes played together which bring passion and a spring in the step of those who hear it. Three persons, one voice - that perfect chord. 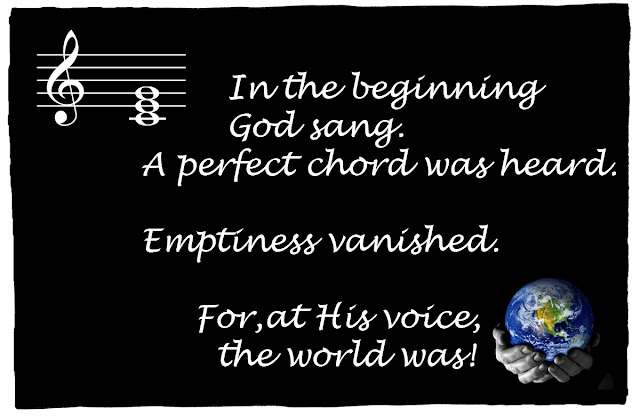 God struck the note and sang - And it was! I've found myself considering the variety of 'church growth strategies' that tend to haunt me as I go about my daily round of engagement and conversation. One of the more intriguing of comment, although once the province of churches without clergy (what we now apparently call 'vacant' rather than 'interregnum') is becoming increasingly common among church members where they still have a Vicar* in post too! But let's confine it to the vacant post scenario and spare the blushes of some who might read this and see themselves (and you know who you are I'm sure). Only church member asked me whether I thought, 'All the old members might come back to church one day?' response? 'Not unless I can come round to expecting a Zombie apocalypse! 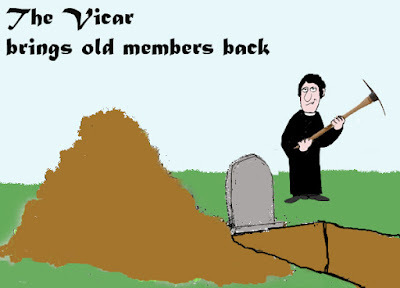 There are some in church who maintain the belief that those who have left a church will come flying back the minute any cleric they might have disagreed with leaves and although there might be some mileage in this thinking if the period between their leaving and the cleric going is short, I don't generally see changing the cleric to be a valid or viable church growth strategy - especially with the drop in attendance that usually accompanies the vacancy period. One church I know of boasted nine or ten people who vowed never to return to the church building until the incumbent had gone. That blesséd day eventually arrived and so, at a safe distance, watching to marvel at the expected return of the diasporic masses (a bit like bird watchers waiting to see overflying birds come to ground for a night on their migrations) - but, as you might expect, it never happened! Churched: not the old purification rite after childbirth but meaning 'coming to church'! Dechurched: basically means they used to come to church and now they don't! Unchurched: means they don't have a history of going to church themselves (or in the familial sense either)! The problem is that whilst the labels might be accurate as mere descriptors they have the potential to become rather unhelpful too as with them we can lose sight of the person and find ourselves dealing with labels rather than people. Those who have never come to church. Those who come, last time I looked, were split, equally, into habitual attenders and committed attenders. Sometimes the former don't have an altogether joined up understanding of the what, why and how of being Church whilst the latter are those 'fanatical' types who sing and pray and read their Bibles and are generally the excited types! The 'Coming to church' types make up 20% of the overall population. Those who used to come are split equally, and quite neatly, into those who are either positive (or ambivalent) or negative (or antagonistic) with regards to Church and they make up 40% of the population. Those who have never come are, like those who used to come, split into the same categories where they are positive (or ambivalent) or negative (or antagonistic) with regards to Church and they make up the final 40% of the population. This afternoon I was talking to someone who was discussing friends of their who after 'having fallen out with their church' had not only vowed never to return but were negative and quite dismissive of the whole 'Church' thing. This happy idea that a new Vicar will bring back the dechurched is sadly not, in any short-term way, something that I have generally considered to be a reality. While the dog collar might be influential in bringing back the dechurched from other places - it is, in my experience, the members (the people with whom they had a relationship when they came) and so it is the congregation, the members, the church (which term do you prefer? It's yours, now get out there and (re)connect with the dechurched. We'll be looking at the unchurched as a separate entity before long - but hopefully this is enough to stimulate thinking (and comment) with the rantings thus far. 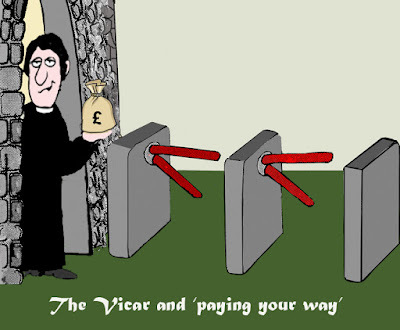 * Here 'Vicar' is used to describe anyone wearing any colour of shirt (except of course purple) with a dogcollar attached! Hear my teaching, O my people; incline your ears to the words of my mouth. I will open my mouth in a parable; I will pour forth mysteries from of old, Such as we have heard and known, which our forebears have told us. We will not hide from their children, but will recount to generations to come, the praises of the Lord and his power and the wonderful works he has done. DznmyI He laid a solemn charge on Jacob and made it a law in Israel, which he commanded them to teach their children, That the generations to come might know, and the children yet unborn, that they in turn might tell it to their children; So that they might put their trust in God and not forget the deeds of God, but keep his commandments, And not be like their forebears, a stubborn and rebellious generation, a generation whose heart was not steadfast, and whose spirit was not faithful to God. The people of Ephraim, armed with the bow, turned back in the day of battle; They did not keep the covenant of God and refused to walk in his law; They forgot what he had done and the wonders he had shown them. For he did marvellous things in the sight of their forebears, in the land of Egypt, in the field of Zoan. He divided the sea and let them pass through; he made the waters stand still in a heap. He led them with a cloud by day and all the night through with a blaze of fire. He split the hard rocks in the wilderness and gave them drink as from the great deep. He brought streams out of the rock and made water gush out like rivers. Yet for all this they sinned more against him and defied the Most High in the wilderness. They tested God in their hearts and demanded food for their craving. ‘Can God prepare a table in the wilderness? When the Lord heard this, he was full of wrath; a fire was kindled against Jacob and his anger went out against Israel, For they had no faith in God and put no trust in his saving help. So he commanded the clouds above and opened the doors of heaven. He rained down upon them manna to eat and gave them the grain of heaven. So mortals ate the bread of angels; he sent them food in plenty. He caused the east wind to blow in the heavens and led out the south wind by his might. He rained flesh upon them as thick as dust and winged fowl like the sand of the sea. He let it fall in the midst of their camp and round about their tents. So they ate and were well filled, for he gave them what they desired. But they did not stop their craving; their food was still in their mouths, When the anger of God rose against them, and slew their strongest men and felled the flower of Israel. But for all this, they sinned yet more and put no faith in his wonderful works. So he brought their days to an end like a breath and their years in sudden terror. Whenever he slew them, they would seek him; they would repent and earnestly search for God. They remembered that God was their rock and the Most High God their redeemer. Yet they did but flatter him with their mouth and dissembled with their tongue. Their heart was not steadfast towards him, neither were they faithful to his covenant. But he was so merciful that he forgave their misdeeds and did not destroy them; many a time he turned back his wrath and did not suffer his whole displeasure to be roused. For he remembered that they were but flesh, a wind that passes by and does not return. While Ezra prayed and made confession, weeping and throwing himself down before the house of God, a very great assembly of men, women, and children gathered to him out of Israel; the people also wept bitterly. Shecaniah son of Jehiel, of the descendants of Elam, addressed Ezra, saying, ‘We have broken faith with our God and have married foreign women from the peoples of the land, but even now there is hope for Israel in spite of this. So now let us make a covenant with our God to send away all these wives and their children, according to the counsel of my lord and of those who tremble at the commandment of our God; and let it be done according to the law. Take action, for it is your duty, and we are with you; be strong, and do it.’ Then Ezra stood up and made the leading priests, the Levites, and all Israel swear that they would do as had been said. So they swore. Then Ezra withdrew from before the house of God, and went to the chamber of Jehohanan son of Eliashib, where he spent the night. He did not eat bread or drink water, for he was mourning over the faithlessness of the exiles. They made a proclamation throughout Judah and Jerusalem to all the returned exiles that they should assemble at Jerusalem, and that if any did not come within three days, by order of the officials and the elders all their property should be forfeited, and they themselves banned from the congregation of the exiles. Then all the people of Judah and Benjamin assembled at Jerusalem within the three days; it was the ninth month, on the twentieth day of the month. All the people sat in the open square before the house of God, trembling because of this matter and because of the heavy rain. Then Ezra the priest stood up and said to them, ‘You have trespassed and married foreign women, and so increased the guilt of Israel. Now make confession to the Lord the God of your ancestors, and do his will; separate yourselves from the peoples of the land and from the foreign wives.’ Then all the assembly answered with a loud voice, ‘It is so; we must do as you have said. But the people are many, and it is a time of heavy rain; we cannot stand in the open. Nor is this a task for one day or for two, for many of us have transgressed in this matter. Let our officials represent the whole assembly, and let all in our towns who have taken foreign wives come at appointed times, and with them the elders and judges of every town, until the fierce wrath of our God on this account is averted from us.’ Only Jonathan son of Asahel and Jahzeiah son of Tikvah opposed this, and Meshullam and Shabbethai the Levites supported them. Then the returned exiles did so. Ezra the priest selected men, heads of families, according to their families, each of them designated by name. On the first day of the tenth month they sat down to examine the matter. By the first day of the first month they had come to the end of all the men who had married foreign women. Let every person be subject to the governing authorities; for there is no authority except from God, and those authorities that exist have been instituted by God. Therefore whoever resists authority resists what God has appointed, and those who resist will incur judgement. For rulers are not a terror to good conduct, but to bad. Do you wish to have no fear of the authority? Then do what is good, and you will receive its approval; for it is God’s servant for your good. But if you do what is wrong, you should be afraid, for the authority does not bear the sword in vain! It is the servant of God to execute wrath on the wrongdoer. Therefore one must be subject, not only because of wrath but also because of conscience. For the same reason you also pay taxes, for the authorities are God’s servants, busy with this very thing. Pay to all what is due to them—taxes to whom taxes are due, revenue to whom revenue is due, respect to whom respect is due, honour to whom honour is due. ‘I will testify against you, O Israel for I am God, your God. I will not reprove you for your sacrifices, for your burnt offerings are always before me. I will take no bull out of your house, nor he-goat out of your folds, For all the beasts of the forest are mine, the cattle upon a thousand hills. I know every bird of the mountains and the insect of the field is mine. If I were hungry, I would not tell you, for the whole world is mine and all that fills it. Do you think I eat the flesh of bulls, or drink the blood of goats? Offer to God a sacrifice of thanksgiving and fulfil your vows to God Most High. ‘Why do you recite my statutes and take my covenant upon your lips, since you refuse to be disciplined and have cast my words behind you? When you saw a thief, you made friends with him and you threw in your lot with adulterers. You have loosed your lips for evil and harnessed your tongue to deceit. You sit and speak evil of your brother; you slander your own mother’s son. These things have you done, and should I keep silence? Did you think that I am even such a one as yourself? But no, I must reprove you, and set before your eyes the things that you have done. You that forget God, consider this well, lest I tear you apart and there is none to deliver you. Let them praise his name in the dance; let them sing praise to him with timbrel and lyre. For the Lord has pleasure in his people and adorns the poor with salvation. See, I am sending my messenger to prepare the way before me, and the Lord whom you seek will suddenly come to his temple. The messenger of the covenant in whom you delight - indeed, he is coming, says the Lord of hosts. But who can endure the day of his coming, and who can stand when he appears? For he is like a refiner’s fire and like fullers’ soap; he will sit as a refiner and purifier of silver, and he will purify the descendants of Levi and refine them like gold and silver, until they present offerings to the Lord in righteousness. Then the offering of Judah and Jerusalem will be pleasing to the Lord as in the days of old and as in former years. Then I will draw near to you for judgement; I will be swift to bear witness against the sorcerers, against the adulterers, against those who swear falsely, against those who oppress the hired workers in their wages, the widow, and the orphan, against those who thrust aside the alien, and do not fear me, says the Lord of hosts. For I the Lord do not change; therefore you, O children of Jacob, have not perished. Life, is written with indelible ink.